Defender Alex Keath has made a fast start to 2019 with a career-best performance on Saturday night against North Melbourne. He collected a career-high 20 possessions and 14 marks, the most marks by a Crow since Rory Laird’s 15 against Geelong in the 2017 preliminary final. This season has been the first time Keath has appeared for the Club during the opening rounds. In 2017, he debuted in Round 18, while last year he did not play an AFL game until Round 17. Over his past five games he has recorded his four best disposal hauls, reaching 20 and 19 disposals on multiple occasions. Ahead of his 300th AFL game, Eddie Betts found his form with three goals from 11 disposals. 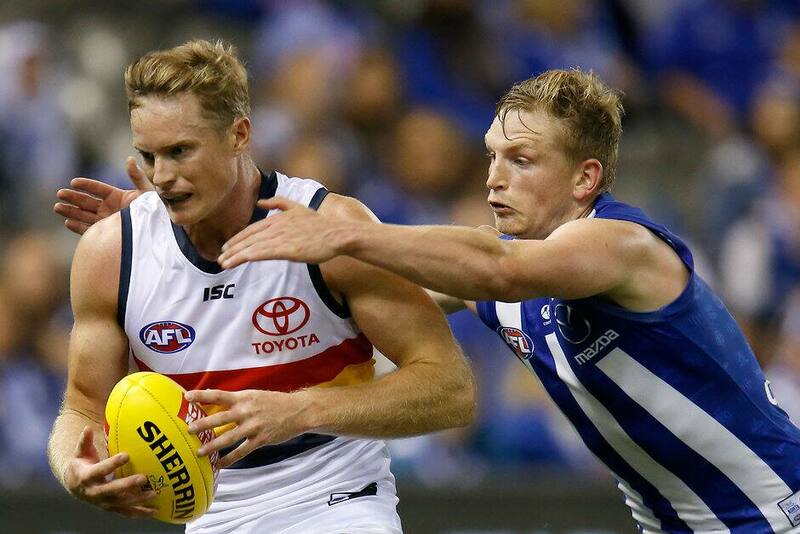 SLOANE'S TAKE: "We can't go into our shells"
Rory Laird passed 30 disposals for the first time this season, having achieved the feat 14 times last year. He had a team-high 31 touches, 23 uncontested possessions, nine marks and seven rebound-50s in a confident performance across half-back. Ruckman Reilly O’Brien also matched several career-high numbers from his 2016 debut game, in his fourth AFL appearance on the weekend. In both games he had 16 disposals and nine contested possessions with a fighting performance against 216-game veteran Todd Goldstein. Meanwhile, the Crouch brothers produced another impressive display with a combined 53 disposals. PYKE'S ASSESSMENT: "We've got some things to fix"
Matt Crouch had a team-high 12 contested possessions alongside six marks and three tackles, while Brad offered clean delivery with a 79 per cent disposal efficiency from his 24 touches. Former small forward Jason Porplyzia made his first appearance as an AFL runner for the Crows, adding to his 130-game career with the Club. Porplyzia retired at the end of the 2014 season, and his last visit to Marvel Stadium was in Adelaide’s dramatic one-point comeback win over North Melbourne in Round Nine, 2013. He kicked one of Adelaide’s six final-quarter goals that saw the Crows overtake North in the final minute.